Home / arts / celeb / creative / festival / news / riuh / There’s a new monthly creative arts festival in KL called RIUH! 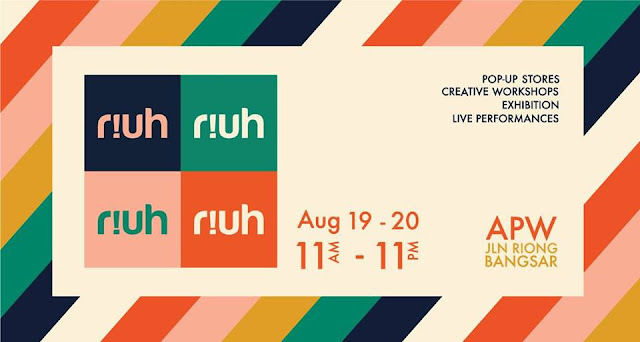 There’s a new monthly creative arts festival in KL called RIUH! 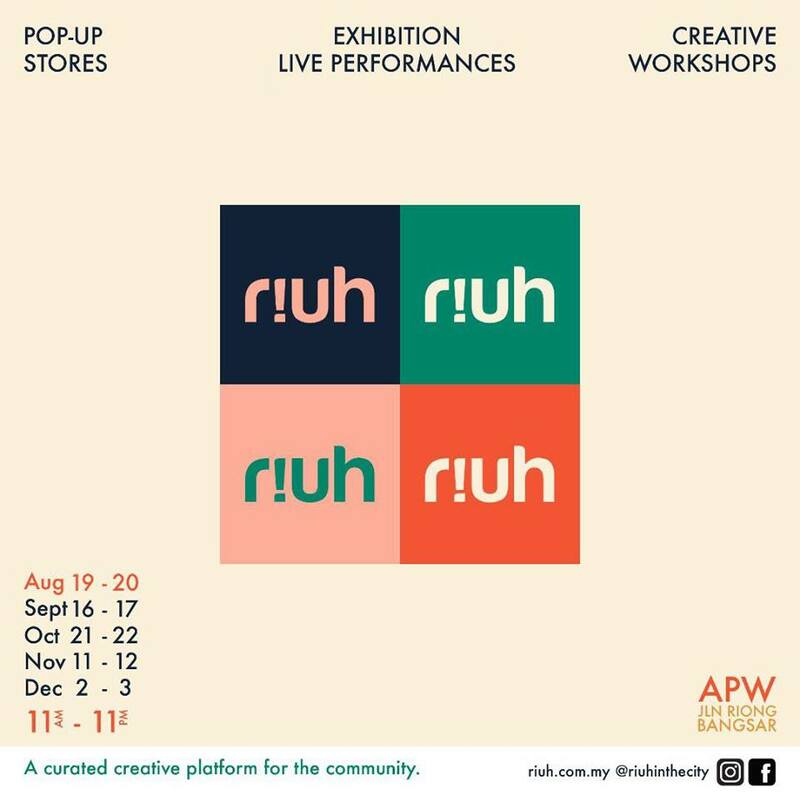 Enjoy a weekend of creative and retail therapy at an all-new creative platform called RIUH, happening this coming weekend! Pronounced as "ri-yoh" which means loud festive noises in Malay, RIUH curates a variety of pop-up stores and food, creative workshops, showcases and live performances. So the festival is basically like an artsy market or bazaar with many homegrown brands, handmade items, and local talents. Kick-starting on the weekend of 19 and 20 August 2017 at APW, Jalan Riong, Bangsar, the event is a monthly affair which takes place on one weekend every month, and each month will have different creative offerings. The platform acts as a host to encourage the community to sell, share and flaunt their creativity with the pop-up space provided to them. Admission to the event is FREE but they do charge affordable participation fees for the workshops.